Ghanaian midfield maestro Thomas Partey has chalked yet another memorable feat after he was named in the FIFPro African Best XI for the year 2018 at the CAF Player of the Year Awards night in Dakar, Senegal. The prestigious Team of the Year accolade is CAF’s newest award category in collaboration with FIFPro Division Africa, the continental footballers’ player union. 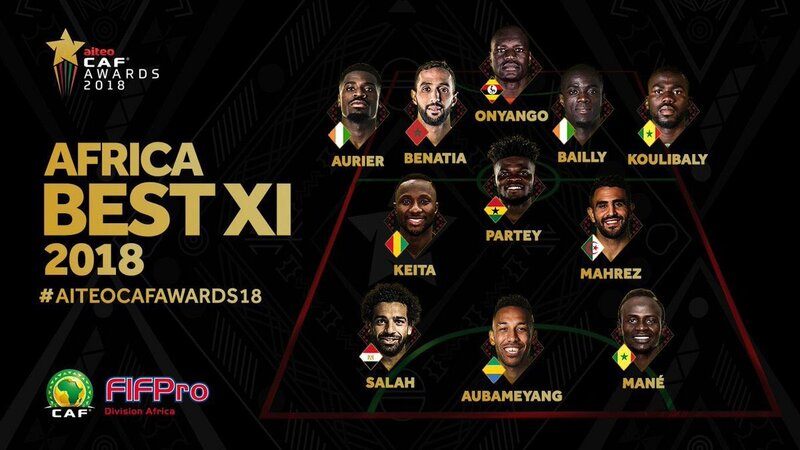 It offers professional African players plying their trade all over the world the chance to vote for their colleagues who have excelled over the course of the past year. Partey’s inclusion is the latest in a string of top honours for the Atletico Madrid central midfielder. He was recently shortlisted for the BBC African Player of the Year Award in a year highlighted by his exploits in helping Atleti scoop the UEFA Europa League title, and aiding the Black Stars to qualify for the 2019 African Cup of Nations in Egypt. The PFAG congratulates Thomas Partey for his latest feat, and encourages him to continue to excel for his club side and for the national team, the Black Stars! !